It has been a little more than two weeks since gunmen raided a school in northeastern Nigeria and kidnapped more than 200 teenage girls from their dormitories. 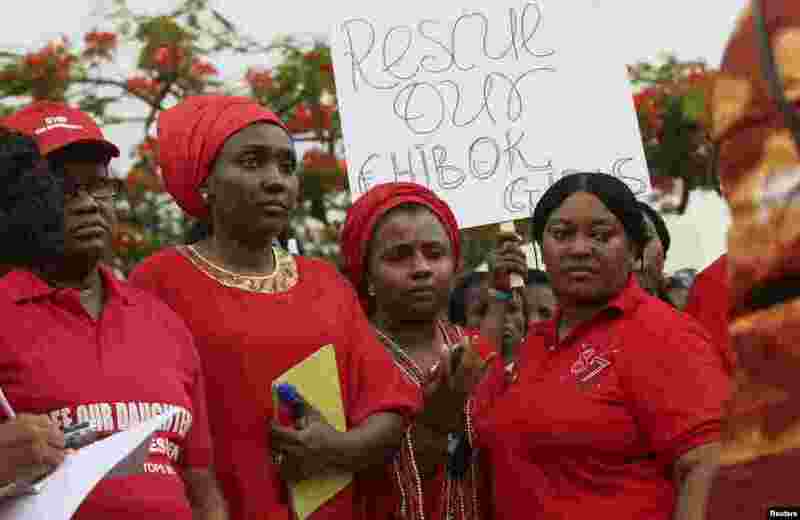 1 Demonstrators call on the government to rescue the kidnapped Chibok school girls, Lagos, Nigeria, May 1, 2014. 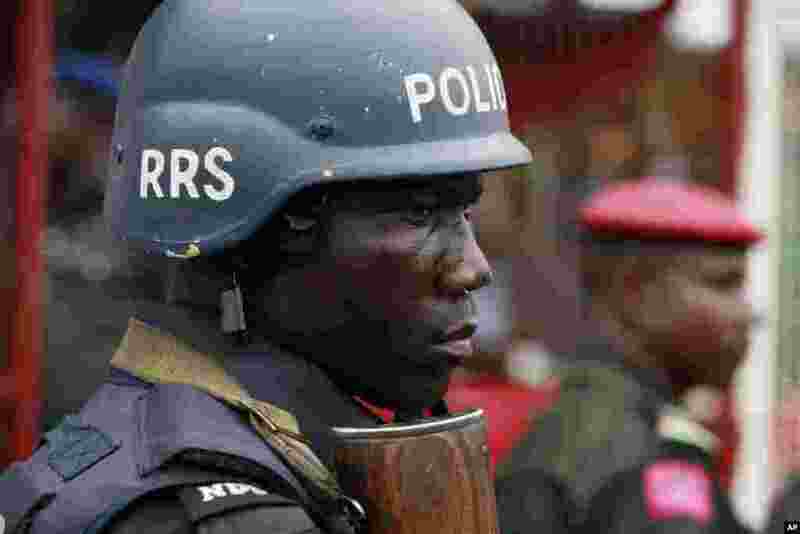 2 A police officer stand guards during a demonstration calling on the government to rescue the kidnapped school girls from a government secondary school Chibok, May, 1. 2014. 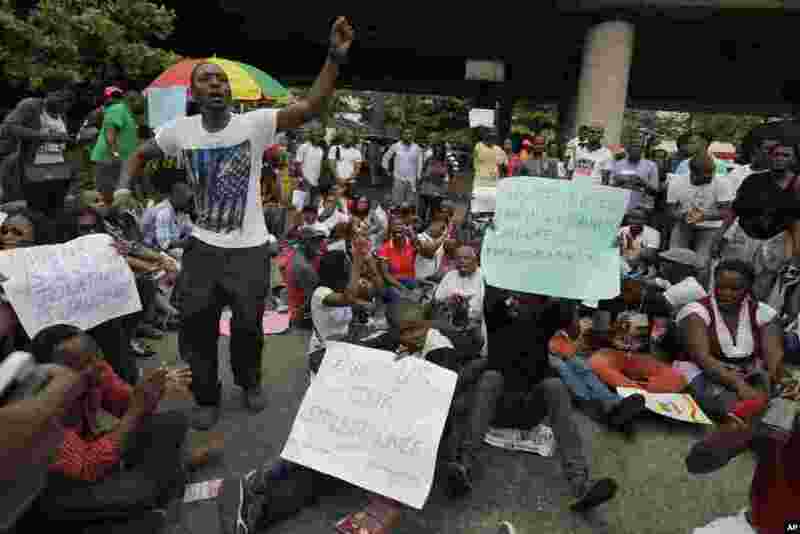 3 Members of various civil society organisations demonstrate in Abuja, Nigeria, April 30, 2014. 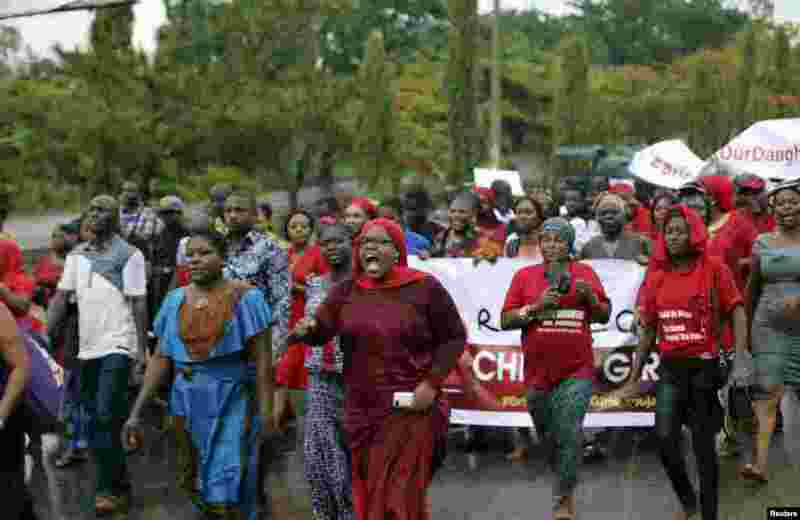 4 Members of various civil society organisations protest against the delay in securing the release of the abducted Chibok schoolgirls who were kidnapped, Abuja April 30, 2014. 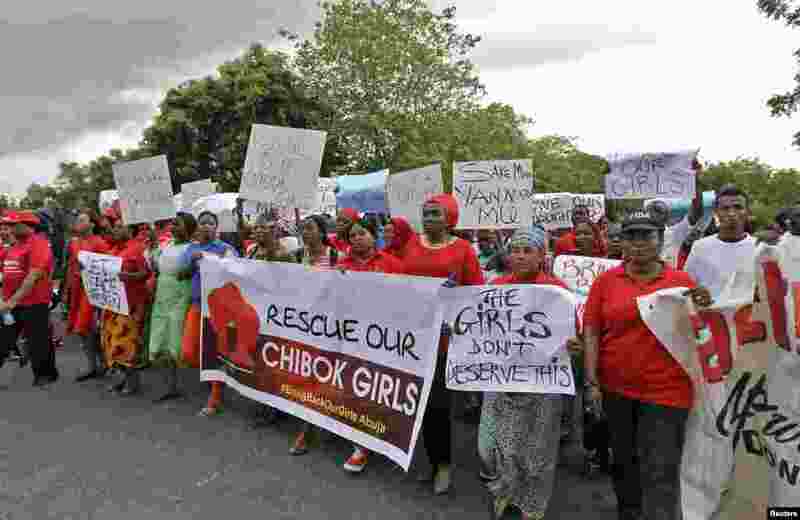 5 People protest against the delay in securing the release of the abducted Chibok schoolgirls who were kidnapped by Islamist militants more than two weeks ago, in Abuja, Nigeria, April 30, 2014.